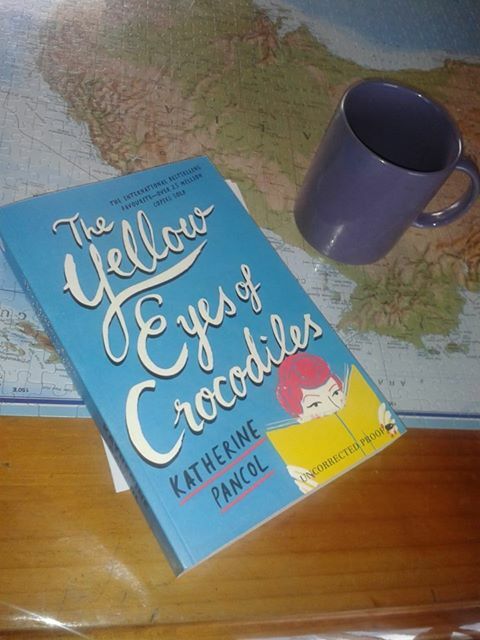 Recently I was lucky enough to win a copy of ‘The Yellow Eyes of Crocodiles’ by Katherine Pancol, from Allen and Unwin. It was such an easy read – I started it one afternoon and had finished it by the next! I loved the main story line of Yellow Eyes of Crocodiles, a story of two sisters who are polar opposites of each other. Iris is married to a wealthy lawyer and has connections in all the right places, while Josephine has just separated from her husband and is struggling to raise two daughters on a tiny wage. Iris hasn’t been the centre-of-attention for a while and misses it, and so makes up a story at dinner one night that she’s writing a historical novel. Unfortunately for her the publisher she’s talking too gets really excited about her story and wants to see it, so Iris convinces Josephine, who is presently researching 12th Century France, to write said novel. The deal is that Iris’s name will go on the book, but Josephine will get all the money for it. Their book becomes a best-seller, and though Josephine and Iris swear to keep their deal a secret, gradually friends and family find out the truth. But there aren’t a whole lot of issues about that till then very end, when it stops suddenly, and doesn’t explore what would have been a major scandal. And there are various stories of secondary characters that seem quite out of place… without giving too much away, one character had phone conversations with Mick Jagger (even though they live in France), and another happens to be the illegitimate daughter of Queen Elizabeth II!! (seriously!) It didn’t add to the story at all for me, so I found these additions a little odd. Aside from this, the story is very well written, and once I started I couldn’t put it down. Josephine’s experience writing the novel was much like my own experiences as a writer (though having a novel accepted by a publisher without any editing is a stroke of luck I wonder if anyone has experienced), and I loved how she got her ideas and wove them into the story, and how her emotions and feelings affected the progress of the story, depending on what was happening in her life as she was writing.